This country’s eventful electoral history has never been short on high drama. But the 2008 general elections were undoubtedly amongst the most tumultuous, even by Pakistani standards. The country found itself sitting on a keg of gunpowder, surrounded by ticking timers. During the four months starting from the day Benazir Bhutto landed in Pakistan, Oct 18, 2007, till polling day, Feb 18, 2008, there were at least 25 suicide attacks that claimed hundreds of lives — including that of the iconic Benazir herself. 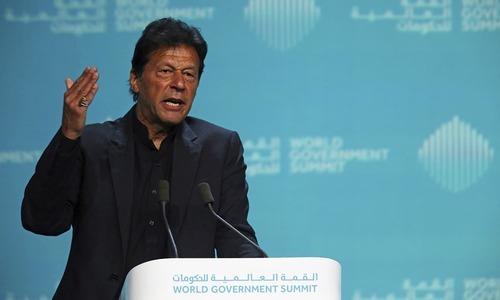 She had returned to the country amid rumours that her party had struck a deal with Gen Pervez Musharraf and that this had been brokered — or at least supported — by world powers. The US military campaign in Afghanistan had hit snags. The Pakistan army was surrounded by pointing fingers and needed to take the back seat. But President-Gen Musharraf had started loving the limelight. He got himself elected as the president from a parliament whose term was to expire in almost five weeks’ time. A day before that, he issued the controversial National Reconciliation Ordinance (NRO) withdrawing cases against a number of politicians. Benazir’s return paved the way for that of Nawaz Sharif. He landed on Nov 25, 2007, electrifying the election environment further. It unsettled the political equation in Punjab. The pro-Musharraf PML-Q had been built on the rubble of the PML-N and everyone knew that the experienced politician could recoup a lot from the crumbling ‘king’s party’. But Nawaz hesitated about making bold decisions, including about participation in the elections. His reluctance, coupled with the re-election of a president-in-uniform, helped the king’s party survive another election. All the king’s men had merged, adopting the ubiquitous label of Pakistan Muslim League (PML), dropping the suffix Q. The party converted the erstwhile electoral duels between the PPP and the PML-N into an intriguing triangular affair. The tripartite character of the general elections 2008 was most visible in Punjab where the PPP, the PML and the PML-N all polled around six million votes each, with the last winning the most seats. The PPP, now led by Zardari, topped the seat tally list. The party polled three million more votes compared with the past elections, winning 95 general seats. More importantly, it won seats in all four provinces. The bubble of the Mutahidda Majlis-i-Amal burst in 2008. It lost more than three-quarters of its voters and 40 of the 45 seats it had won in 2002; the religious party alliance’s fall from grace was as phenomenal as its meteoric rise. Some other smaller parties had concluded that an elected parliament had little to no meaning under a president in military uniform. They boycotted the elections, including Imran Khan’s Pakistan Tehreek-i-Insaf and the Pakhtunkhwa Milli Awami Party of Mehmood Achakzai. Baloch nationalists had their own reasons to keep away — the covert military campaign they claimed was being run against the nationalists in the province. Prominent Baloch leader Nawab Akbar Bugti had been killed in army action in August 2006. The state actors’ highhandedness had once again severed the province’s historically weak link with the federation. With the addition of seats for women and minorities, the PPP’s numbers at the federal level rose to 122 which was way short of a simple majority. The ‘hung’ character of parliament, however, did not give rise to anxiety this time as the house showed pleasant signs of maturity. The divided mandate meant that only a coalition government was possible. 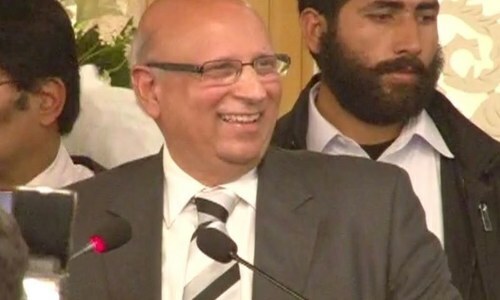 But Gen Musharraf had shot himself in the foot in March 2007, by dismissing Chief Justice Iftikhar Muhammad Chaudhry, only to see him restored by the Supreme Judicial Council in July. The popular campaign that marked these five months made it obvious that the general’s days were over. But he had no clue how to finish it. His re-election by the outgoing parliament and his double office (head of the army and the state) were challenged in the restored court. He went for the first-strike strategy and imposed emergency rule on Nov 3, 2007, using this break to launch a massive purge in the judiciary besides giving up the military uniform. When the emergency was lifted a month and half later, he wanted to be seen as an elected, civilian president. But that’s not how you off-load the baggage you have carried from your past. As soon as he ‘conquered’ the judicial front, trouble stirred on the other. The new parliament rebelled and threatened him with impeachment on a number of matters, including his subversion of the constitution in the 1999 coup. He finally had to resign in August 2008. The new PPP displayed further its mastery over the art of possible. Its co-chairman Asif Ali Zardari was elected the president in September 2008, and that completed the process of the restoration of a civilian and elected government in the country. Tahir Mehdi's Article is very well written;except for the portion where it is claimed that chief justice of the supreme court was restored by the supreme judicial council in July 2007.The CJ was restored by a large bench of the apex court & not by the SJC.